*NOTE: The Community Center remains open for access to City Council meetings as needed. The Auditorium is LEED-CI Silver Certified and has 154 fixed seats with two aisles and room for six wheelchairs. The floating wood stage is approximately 18 inches off the floor and 30 feet wide and 19 feet deep at the center. This environmentally friendly space has state of the art lighting system with colored LED washes, sound system with two wireless microphones and connections for up to ten wired microphones. The presentation system has a six foot by eleven foot projection screen in the center of the stage and two small screens on either side of stage. Fee for staffing outside of normal hours of operation or specialized AV services and for extraordinary maintenance demands or required security. Insurance is required. Come join the fun and play some ping pong, air hockey, billiards, foosball or hot shot basketball. Open to youth, young adults, and seniors. Hours are subject to change when camp is in session or during special events. The City of Takoma Park provides United States Passport services to residents and non-residents. Full information including hours is available on the Passports page. If Takoma Park passport services are not available, use the U.S. Department of State’s Passport Acceptance Facility Search Page to locate a nearby facility. 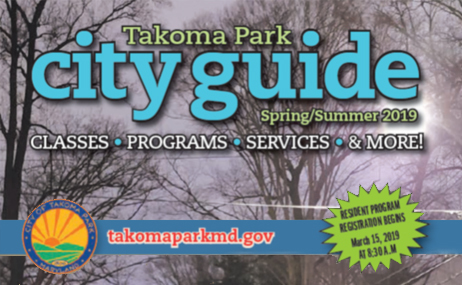 To see a complete list of activities offered at the Takoma Park Community Center view the current version of the City Guide. 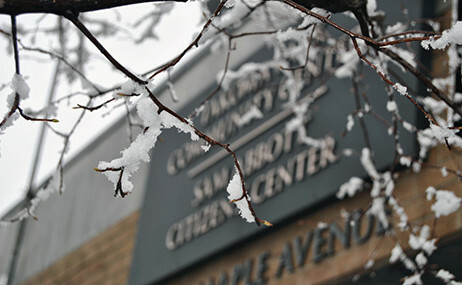 The Takoma Park Community Center – Sam Abbott Citizens’ Center is located at 7500 Maple Avenue. 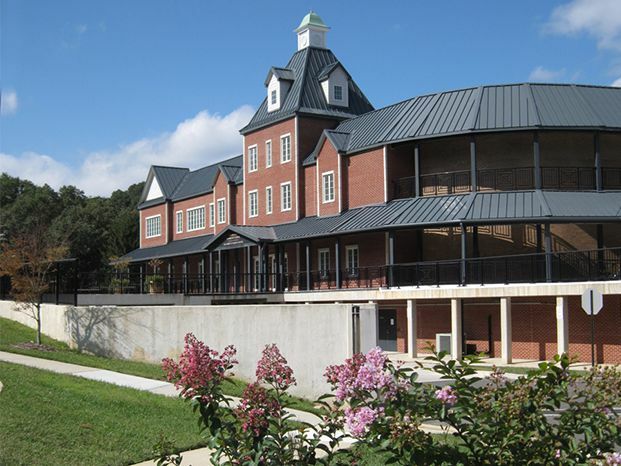 Takoma Park Community Center – Sam Abbott Citizens’ Center features three small meeting rooms (Rose, Lilac and Hydrangea), one large meeting room (Azalea), a multimedia lab, dance room, game room, senior room, teen lounge and a LEED-CI Silver Certified auditorium. Sports, arts, fitness, dance, crafts, self-improvement, computers, drama, games, hobbies, martial arts, music, and do-it-yourself instruction are classes are offered at the Community Center through the Recreation Department. The Community Center also hosts clubs, camps, special events, workshops, drop-in programs, after-school programs, and cultural activities at various times throughout the year. Check out the current City Guide and the Cultural Events calendar for details on what is being offered. Please note the business rate applies to any rental held for business purposes (including non-profits), regardless of where the patron or business is located. To check for availability or to request a room for your next event, please use ActiveNet. Permits are only issued 3 months in advance of the event date. Recreation Department events and programming takes precedence in scheduling. Review Administrative Regulation No. 2011-1 and the Rental Requests page for regulations governing public use, facilities rentals and general responsibilities of the user. You can register for childcare, classes and request rentals through ActiveNet. You can register for childcare, classes and request rentals on via Takoma Park’s through ActiveNet.